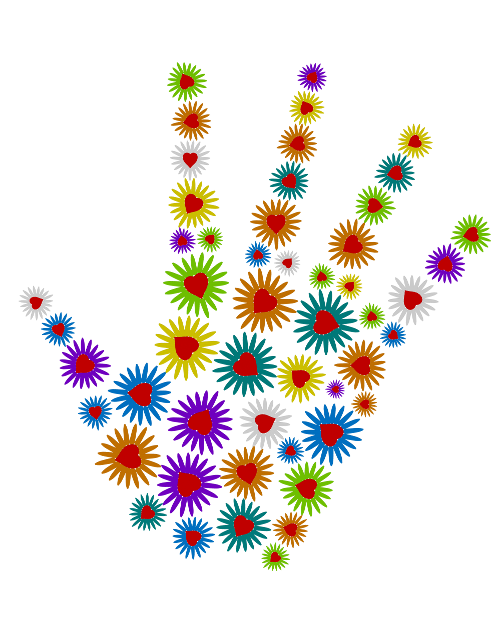 Therapeutic Connections offers customized therapeutic massage services to fit each client's needs. Clients are asked a series of questions related to their everyday activities and their occupation. This gives the massage therapist a foundation before treatment. Many clients are not aware of their body aches or injuries until they've had a massage session. The aches and pains we are experiencing may be ignored or thought of as "it will go away soon". Sometimes the pain disappears but the problem is still there. Many people do not know the benefits of massage or may view it as an unnecessary luxury service. Chair massage is a great way to introduce employees to awareness and experience the benefits. On-site chair massage is a therapeutic massage service that may reduce tension, decrease headaches and/or pain while improving morale and productivity of employees. This service is very diverse and can be set up in low and high traffic areas. Companies are starting to incorporate wellness programs to help their employees boost morale, decrease work related injuries, and decrease stress related illnesses. Stress is a prevalent component in today's fast-paced world which can negatively impact an individual's health and well-being. Massage therapy has been shown to reduce stress significantly on physical and psychological levels. Therapeutic Connections is your massage therapy solution! Environment location can vary depending on the tone or atmosphere you want to provide for your customers and/or employees. Space required is usually around 5x6 per LMT (Licensed Massage Therapist). Massage Therapist will evaluate the work environment and set up massage workstation. Time recommended is between 10 and 30 minutes depending on the event. Once the LMT sets up, the employees sit on the massage chair fully dressed. Depending on the time allotment for the massage, the LMT usually works on the upper body - more specifically the neck, shoulders, and back. Massages are done during the employee's/employer's time schedule, which is usually designated during breaks and lunches. Services are scheduled biweekly or monthly. Payments can be paid by corporate (There is a discounted amount on the estimate if paid 5 days prior to the event). Payments are split 80/20 by corporate and employee respectively. Payments are paid by employee. For individual chair massages, the price ranges from $1.00 to $1.50 per minute. Payment from employee is accepted in the form of a check or cash. At the job site we will have the employees sign up on a schedule. Their massage time will then be confirmed with the employee. Employees are responsible for the time they sign up for. 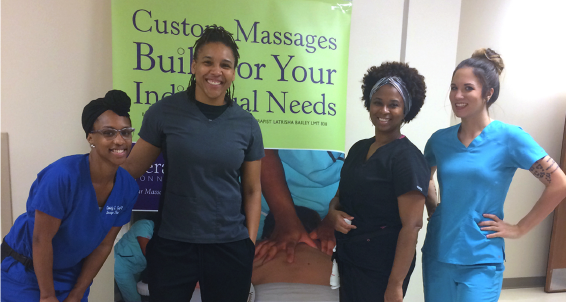 Massages can be done during the employee's break, lunch, and/or after working hours. If they are late or forget about their appointment, they are still held responsible for the amount due. If the employee fails to pay, they will not be able to schedule subsequently unless their employer is sponsoring a chair event for their employees. "I am a full-time secretary, who takes care of my son while working. It's hard for me to find time to do anything outside of being just those two things. Mrs. Latrisha Bailey at Therapeutic Connections came to my office/home and performed a chair massage. Not only did she help me, but also my three hard-working employees. After a week of digging, the guys were tired and sore. Mrs. Bailey relieved back, neck, shoulder, and arm pains. It was refreshing to have a kind, caring professional to come to me and my employees, and help us to feel better so we can perform at our best. I would recommend anybody who has back pain, stress, or just needs to feel better to let Latrisha Bailey give you a massage. It'll be the greatest thing you've ever done!" Contact us today to schedule your chair massage!